At Crossroads we support the FoodBank network which is a Christian charity committed to community action against poverty and marginalisation. 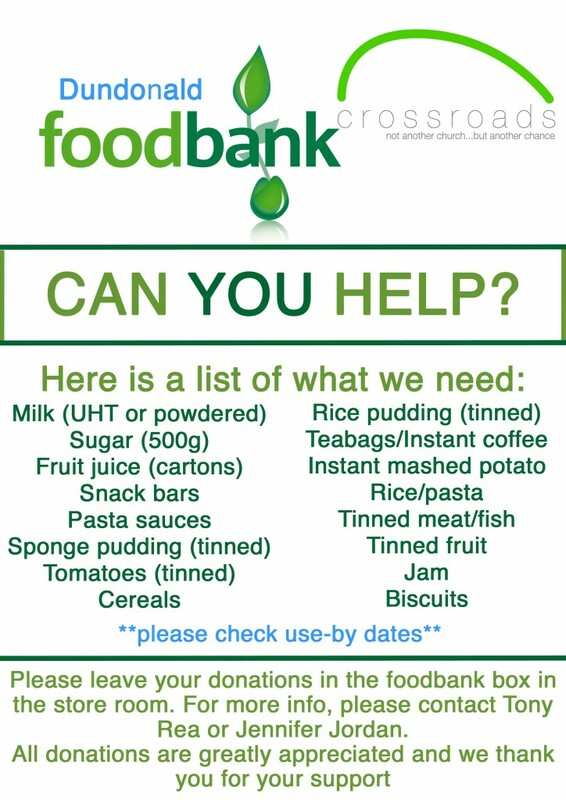 Any food items you feel you can donate are always appreciated, to support local people. Contact one of our leadership team at any service or check out our notice board to find out how to donate.